There is always much excitement and joy as one year draws to an end leaving in its wake a new dawn. As we step into 2015, the NativePlanet team would like to wish all its readers Happy Travelling in the new year! India is a land of endless opportunities, there is so much to see, so much to experience and its many treasures need more than a lifetime to be explored. To make things easier for you we have picked five states in India that you must travel to and the five most popular destinations in each of these states. Make sure you get at least a few of these destinations ticked of your bucket list in the year 2015. In the north we suggest the beautiful, vast and largely waiting to be explored Jammu and Kashmir. The state has abundance of natural beauty across all seasons of the year. Some of the destinations here such as Gulmarg are winter travel regions while other places such as Ladakh are best explored in the summers. The five places you must visit in Jammu and Kashmir are Gulmarg, Nubra Valley, Amarnath, Srinagar and Hemis. In your quest for unforgettable travel experiences visit valleys of emerald green beauty, snow-clad mountain peaks, stunning lakes and rivers and even exquisite food and culture as you travel through Jammu and Kashmir. The desert state of Rajasthan in western India has risen by bounds in terms of popularity. The stark lands contrasted by the vivid culture is what makes this state a must visit. Add to it various historical monuments and you are left with no reason to not travel here. The five destinations we recommend are Jaipur, Udaipur, Jaisalmer, Pushkar and Bikaner. Explore majestic forts such as Amer Fort Palace, symbolic monuments such as the Udaipur Lake Palace, experience the Camel Fair and much more in the colourful and energetic destination of Rajasthan. God's own country is what Kerala is popularly known as and it comes as no surprise considering the immense natural beauty that adorns the state. Kerala is a land of as exotic a culture as the land. Travel here to experience being one with nature, explore backwaters, hill stations, wildlife, culture and mouth-watering food. The top five destinations you should travel to in Kerala are Alleppey, Cochin, Thrissur, Munnar, Kannur. Explore pristine beaches, exquisite temples, home-like palaces, houseboat journeys inthe backwaters, interesting amalgamation of cultures as in Fort Cochin and soo much more in Kerala. 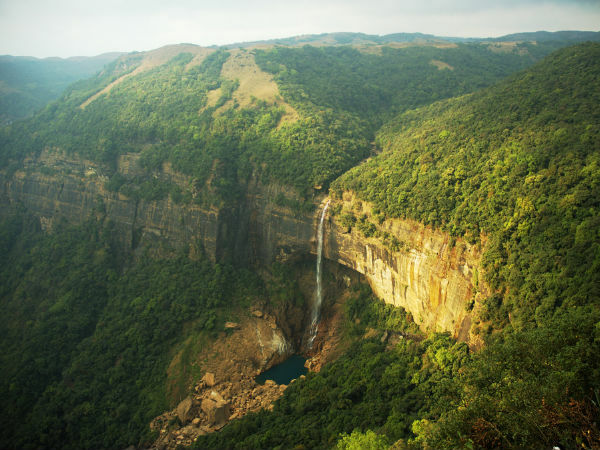 Among the lesser explored travel destinations in India is the many interesting lands of Meghalaya. Home to the Khasi, Jaintia and Garo tribes, this is a place that you must visit at least once in your lifetime. While Ladakh lets you explore untouched beauty of the desolate kind, Meghalaya offers pristine beauty that is lush green and fresh! Its various destinations are popular world over for the natural beauty and cleanliness. The top five destinations you must explore in Meghalaya include; Shillong, Cherrapunji, Jaintia Hills, Ri Bhoi and East Khasi Hills. Explore the wettest region on earth, some of the highest waterfalls in the region, living bridges, Asia's cleanest village and a lot more in Meghalaya. Popularly referred to as 'The Heart of India' Madhya Pradesh is truly a delight to explore. In fact, the state should be on every adventure enthusiast's list of places to visit in India. Fascinatingly the state combines the best of heritage, wildlife and nature travel. From exquisite monuments to wild encounters with the Royal Bengal Tiger, Madhya Pradesh promises an unforgettable journey. Five destinations we recommend you do not miss in this state are Khajuraho, Orchha, Sanchi, Gwalior and Bandhavgarh. Explore stunning sculptures, architecture, temples, Buddhist monuments and wildlife in these destinations.